From a company perspective, everyone wins with automation – employees have more time to focus on less menial tasks, IT can spend less time on trivial helpdesk tickets, and so on. At a departmental level, opportunities for automation can spring up throughout the organization – if you know where to look. 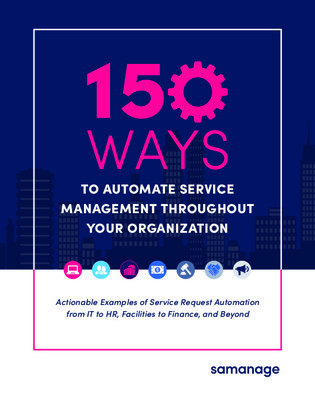 Keep reading to learn over 150 ways service automation can be integrated within your organization, from IT to HR. Designed to be a conversation starter on how ITSM best practices can be applied to all sections of your company, this guide also serves as a rough blueprint for how to improve your employees’ IT service experiences.